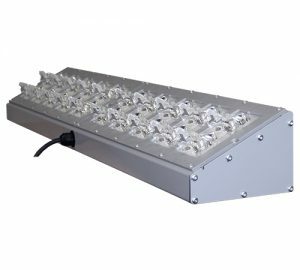 Wall Washers - Revolution Lighting Technologies, Inc.
Revolution Lighting’s LED wall washers are high quality fixtures that are ideal for illuminating flat, exterior walls, billboards or other surfaces. 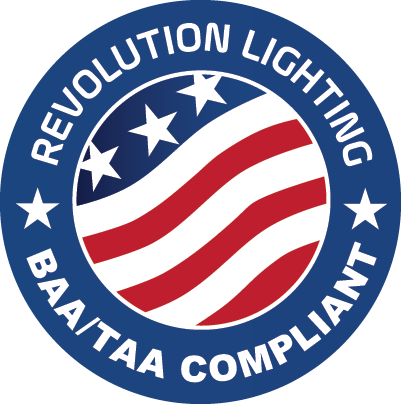 Revolution Lighting’s LED wall washers can save an incredible amount of energy – up to 86% – compared to similar fixtures. What are LED Wall Washers? Wall Washers are asymmetric light fixtures that are designed to cast light on flat walls or other vertical surfaces (such as billboards). This fixture type was named after its illumination technique, which is called “wall washing.” Wall washers operate with a special reflective shield inside the fixture’s housing to reflect the light towards the wall. When a wall washing installation is designed properly, uniform light distribution will run the length of the vertical wall surface. Depending on how they’re used, wall washers can make an entire space feel larger and brighter, or can accentuate an architectural element or a focal wall. We recommend consulting the wall washer’s installation instructions for optimal placement. However, follow this basic rule of thumb to get the best results. A wall washer should be placed roughly 1/3 of the surface area away from the surface. This mounting distance of the wall washer from the surface area is incredibly important to get right. If the wall washer is placed too close to the surface it is meant to light, the resulting light will have a “scalloped” effect instead of the uniform light distribution wall washing is intended to achieve. Since wall washers are used to light a specific surface uniformly, wall washers typically consume a fair amount of power. For non-LED fixtures, these lamps can draw in excess of 900W. Fortunately, Revolution Lighting’s LED wall washers can save an incredible amount of energy – up to 86% – compared to similar fixtures. Revolution Lighting LED wall washers are perfect for billboards, signs, hotels, office and retail spaces, and high impact areas. These versatile fixtures are useful in residential installation and for architectural accenting.